All Nippon Airways brought the state’s largest airport one step closer to accommodating the world’s largest aircraft with the completion of the first of two test flights of its colorful A380 “Flying Honu” this morning. When will “superjumbo” wide-body planes fly into the Daniel K. Inouye International Airport? When turtles fly. The test flight puts the carrier on the path to its 2020 goal of doubling the number of its seats that connect Honolulu to Tokyo. ANA currently offers three daily flights connecting Honolulu and Tokyo on its Boeing 787 aircraft, which carry 200 to 250 passengers. Come May the carrier plans to add wide-body aircraft service four times weekly on its A380 aircraft, which will seat approximately 520 passengers. In July, ANA will add a second A380 to the Hawaii market and a third in July of 2020. The test flight, which was flown by two pilots, carried three passengers from the Japan Civil Aviation Bureau, which is Japan’s equivalent of the Federal Aviation Administration, and another three ANA workers. The main goal was to ensure that the gigantic aircraft could successfully hook up to the three passenger-loading bridges attached to two new Honolulu airport gates that were built for the wide-body aircraft. Ross Higashi, deputy director of the airports division for the state Department of Transportation, said the state made $13 million in airport improvements so that A380 service could commence in Honolulu, which has become the eleventh city airport in the U.S. that is equipped for the wide-body aircraft. ANA also invested $5 million in a new airport passenger lounge, which will become the state’s largest passenger lounge. By 2020, ANA’s new service is expected to bring an additional $285 million in economic impact to the state and as much as $30 million in tax revenue, Higashi said. The new cranes arrived in Honolulu Friday night on a ship from Japan where they were built by Tokyo-based Mitsui Engineering & Shipbuilding. The first crane came ashore Tuesday and the other two are expected to be offloaded today and Thursday, but they won’t enter service till at least July. That’s what Matson Inc. is preparing to soon gain in heft for unloading cargo containers from its ships at Honolulu Harbor. Hawaii’s dominant ocean cargo transportation firm Tuesday began what is expected to be a more than two-month process of installing three bigger and more powerful gantry cranes at its container handling facility at the state’s busiest harbor. The new cranes arrived in Honolulu on Friday night on a ship from Japan where they were built by Tokyo-based Mitsui Engineering &Shipbuilding. The first crane was ushered ashore Tuesday on rails perched between the delivery vessel and pier. The other two cranes are expected to be offloaded today and Thursday, but it will be until at least July before the new cranes begin operating because they need to be tested and certified after structural bracing for the ocean voyage is removed. Matson ordered the new cranes so that it can service four bigger new ships, the first of which, the Daniel K. Inouye, went into service in November. The three other new ships are slated for delivery by the end of next year, and they are considerably bigger than anything Matson had in its fleet before spending $929 million on the four additions. The 850-foot-long Inouye became the largest containership ever built in the United States, according to Matson. Like its coming sister ship, the Inouye can carry the equivalent of 3,600 20-foot containers, or TEUs (20-foot equivalent units). The capacity of Matson’s next-biggest ship is about 2,800 TEUs. Matson’s two other new ships are designed to carry containers along with up to 800 vehicles in a covered garage. If these 870-foot ships were solely for containers, their capacity would be 3,500 TEUs. The new cranes will replace three of six cranes Matson operates on dockside rails at the harbor. Each new crane is 16 feet taller, can extend 5 feet farther out over ships and can lift 56,000 more pounds than the machines they are replacing that date to 1975-76. The extra height and reach are necessary to remove containers on the bigger ships when they are loaded to maximum capacity, because the new ships can fit one more row of containers within the width of the ship as well as one higher layer of containers compared with Matson’s biggest older ship. Matson spokesman Keoni Wagner said the need to stack containers on the Inouye beyond the reach of existing cranes isn’t immediate, but that the extra capacity on the Inouye and other three new ships is expected to be used in the coming years as Hawaii’s economy grows. Matson also plans to reduce the number of ships to nine from 10 later this year. Matson did not disclose the cost of the new cranes, but said they are part of a $60 million modernization and expansion of its Honolulu container terminal. As part of this work, Mitsui is upgrading the three older cranes being retained with work that includes electrical system changes and adding fiber-optic cables to improve crane cameras that read container numbers. By now, most of Hawaii has accepted what all the experts say is true  that the homeless population has diverse needs, complicating the pursuit of solutions. But rather than allowing paralysis to set in as officials debate the ideal way forward, the best strategy is to come at the problem from multiple directions. Evansville Luad, left, and Anthony Sevache receive some bandages and hygiene kits from University of Hawaii medical students Zach Tom, left, and Kaily Kuikahi in Chinatown. By now, most of Hawaii has accepted what all the experts say is true — that the homeless population has diverse needs, complicating the pursuit of solutions. But rather than allowing paralysis to set in as officials debate the ideal way forward, the best strategy is to come at the problem from multiple directions. There’s nothing new about this view, but there is some hope that the state — especially on Oahu, where the crisis is most acute — is poised now to accelerate the pace of progress. Success depends on attacking the problem relentlessly; the public perception that this crisis is not yet in hand, is the correct one. The chronically homeless are among its most visible sectors. Finding various ways of improving their condition will benefit the wider public in unexpected ways. At the state Capitol, the coming weeks will be telling. For example, Senate Bill 1131, which would provide more funding for a stop-gap housing solution known as “ohana zones” is still moving through the Legislature. And it should become clearer how much funding will be devoted to the mission of adding to the stock of rental units that, along with supportive services, can move people off the streets. Providing permanent housing has been the goal of Gov. David Ige, who asserts correctly that this is the proven method. But that doesn’t mean other strategies can’t be employed to whittle away at the edges — possibly readying more people for that more permanent solution. It may help that Lt. Gov. Josh Green has taken on the plight of the chronically homeless as his particular focus. He is only a few months into this challenge, but he does come with the advantage of a professional background as an emergency medicine physician. These are largely the people who live unsheltered, on the street, a group that, on Oahu jumped in size by 12%, according to the 2019 Point in Time Count. The expanding encampments on sidewalks and in hidden, off-road places comprised the dark spot in the 2019 report that was part of the yearly national homelessness census, although the total population, including those in emergency shelters, dropped by 4% on Oahu. Statewide, the Point in Time tallies ranged widely. Kauai’s count was up by 51%, undoubtedly an artifact of the devastating 2018 floods, experts said. There was better news from Maui with a 1% drop, and a startling 21% decrease on Hawaii island. Perhaps the focused attention on those left unhoused by the 2018 eruption in Puna paid some dividends. That’s the sort of focus that should be employed on Hawaii’s most populous island, too. In a meeting last week with the Honolulu Star-Advertiser editorial board, the lieutenant governor detailed his 10-point plan for the chronically homeless. Among these points are the ohana zones funding, which he sees as the means to provide infrastructure on state land where the homeless could live, at least for the short term. But the strength of this blueprint lay in the variations on the theme: moving the chronically homeless toward stability. In lieu of “tent cities,” largely disparaged by the social-service sector, is the “kauhale” model of community. This “place of social respite” collects dwellings around communal spaces, and could qualify for the ohana-zoning funds if they are authorized, Green said. It also would be eligible for federal funds as permanent housing units. Even better, it could be uniquely suited to Hawaii’s culture. Like Kahauiki Village, the kauhale resembles the close-knit plantation villages of a century ago; and like the year-old Kauhale Kamaile in Waianae, it fits the Native Hawaiian sensibility for communal living. Green said the next such community could go up fairly quickly, in Waimanalo. These would be best for families and others who are managing any persistent problems of substance abuse, mental illness or other health problems. Before reaching this point, though, there can be waystations. An important addition was the creation of Hawaii Homeless Healthcare Hui, a facility in Iwilei that combines hygiene, short- and longer-term health treatments and housing. Additionally, plans are underway to open new Joint Outreach Centers, which are primary-care clinics, in addition to the one in Chinatown. The Honolulu Police Department notion of “lift zones,” equipped with non-permanent, inflatable shelter units with social services, should be pilot-tested to provide police-monitored space for those unwilling to enter conventional shelters. Other services aimed at those whose health is deteriorating from life on the street could offer interventions that would save big money, in the long term, over the frequent hospital visits by the chronically homeless. In the wake of Tommy Waters decisive Honolulu City Council win Saturday night, Mayor Kirk Caldwell and Council Chairwoman Ann Kobayashi spoke of the need to set aside politics and work more collaboratively in the coming months. Mayor Kirk Caldwell and Council Chairwoman Ann Kobayashi spoke of the need to set aside politics and work more collaboratively in the coming months. In the wake of Tommy Waters’ decisive Honolulu City Council win Saturday night, Mayor Kirk Caldwell and Council Chairwoman Ann Kobayashi spoke of the need to set aside politics and work more collaboratively in the coming months. 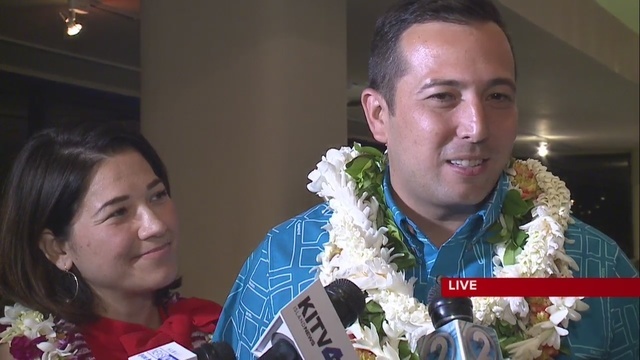 Waters, a longtime Caldwell ally, defeated Trevor Ozawa, who won the November general election contest by 22 votes only to see the results invalidated by the Hawaii Supreme Court. Ozawa, among Caldwell’s staunchest critics, was expected to be chosen by colleagues to become Council chairman in January until the challenge by Waters and a group of 39 East Honolulu voters threw the election into turmoil and dashed those plans. Kobayashi, also a frequent critic of the mayor, became the Council’s leader. Despite the likelihood that he will gain more support from a reorganized Council, Caldwell said he and all Council members need to work together. Caldwell said that he had an unscheduled talk last week with Kobayashi Thursday following a function where the two appeared. They agreed to meet this coming week about the upcoming budget and other pressing issues, regardless the outcome of the election, he said. He acknowledged there are areas where he and the Council disagree. Last week, Council Budget Chairman Joey Manahan said he does not expect the mayor’s proposal to establish a $5 monthly curbside trash pickup fee to help stave off program cuts will be able to make it out of the Council. Ozawa made Waters’ friendship with Caldwell an issue, calling his opponent a lap dog for the mayor while describing himself as an independent watchdog who would serve as a check to questionable administrative policies. Later, however, she told the Honolulu Star-Advertiser that she expected there to be a leadership reorganization soon and that her time as the Council’s leader, a job she accepted reluctantly, may be short. The reorganization could happen this week, even before Waters’ victory is certified and is able to take office in early May. Among those showing up at Waters’ victory celebration at the Brilliant Ox at Ala Moana Center were Council members Ikaika Anderson, Joey Manahan and Ron Menor. All three have been more supportive of Caldwell’s policies as has Councilman Brandon Elefante. The remaining Council members are Carol Fukunaga, Kymberly Pine and Heidi Tsuneyoshi. Despite Kobayashi’s prediction about losing the chairman’s gavel, she may still end up keeping it. 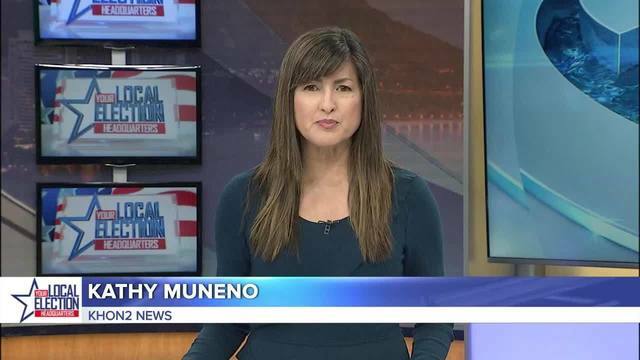 Several Council members told the Star-Advertiser privately that Kobayashi has been even-handed and noted that Anderson, Elefante, Manahan and Menor all chair key Council committees. Mayor Kirk Caldwell’s plan to impose a $5 monthly curbside trash pickup fee on Oahu households may be tossed into the rubbish heap, Honolulu City Council Budget Chairman Joey Manahan said. “I don’t think the members are going to accept trash fees,” Manahan said during a break from a marathon budget briefing that spilled over from Wednesday and into Thursday. Manahan’s committee Thursday voted to move out a version of Bill 14 that removes all dollar amounts. All five committee members present voted yes “with reservations.” Several committee members said they only voted to advance the plan to allow all nine Council members the chance to weigh in on it. Manahan said the bill also could move without any fee because it contains a separate section that would establish a phone-in-only system for bulky item pickup. Currently, bulky item crews roam neighborhoods during designated days once a month. Previous attempts by the administration to impose a trash fee also have failed. Honolulu is the only county that does not charge a fee for pickup. Meanwhile the Budget Committee moved out a property tax rate plan that would cut Caldwell’s planned rate increase for hotel and resort properties to one-half cent per $1,000 of assessed value from 1 cent per $1,000. A separate proposal to increase the tax rate on investment properties — by $1.50 more per $1,000 for the second tier of calculations — was allowed to pass without changes as part of Resolution 19-55. Caldwell’s budget package of bills and resolutions, which includes a $2.83 billion operating budget that’s about 8.6 percent more than this year’s budget, next goes to the full Council for the second of three votes. The Budget Committee heard from a slew of agency chiefs over an 11-hour meeting Wednesday and needed to return to the committee room Thursday morning to finish its work. That’s because Manahan began Wednesday by distributing a plan to eliminate $64 million in current expenses — from pencils to travel — from various agencies. By Thursday the committee had restored about $27 million, Manahan said. Essential service agencies such as the Police, Fire and Emergency Services departments were spared from most of the cuts. Manahan said he wants to see whether the budget can be balanced without increasing taxes or instituting the trash fee. “We strongly believe that our proposals are necessary to position our great city for the many challenges facing us,” Amemiya said, pointing to unfunded employee and retiree benefit liabilities, the homeless and affordable- housing issues and climate change among the concerns. The refuse pickup fee would bring in a projected $5.8 million, the hike in resort-hotel tax rates to $13.90 per $1,000 from $12.90 per $1,000 expected to bring an additional $17 million, and the hike in the Residential A Tier 2 rate — to $10.50 per $1,000 from $9 per $1,000 — an additional $14 million. “We need to ask ourselves, Do we cut services to our residents … at the very time that more services are needed, or do we take the unpopular but responsible action of seeking new revenue sources?” Amemiya asked. He said imposing a trash fee is fair because only those who receive the benefit would need to pay while those who currently don’t receive the service, who have to pay for private hauling services, won’t need to pay. Manahan’s proposal to reduce the percentage increase in hotel-resort rates would net an estimated $8.5 million less than the administration’s plan. Before making its decision, the committee faced a full-court press from a host of tourism leaders, led by former Mayor and current Hawaii Lodging and Tourism Association President Mufi Hannemann, who argued that the visitor industry has been paying more than its share and that indications are visitor counts may be headed into a downward cycle. >> Councilwoman Heidi Tsuneyoshi refused to support the Honolulu Authority for Rapid Transportation’s capital improvements budget because she has lingering concerns about plans to enter a public-private partnership to finish construction and then operate and maintain it for 30 years. Tsuneyoshi said the agency tasked with building the $9 billion project has not communicated well with Council members on the proceedings. HART officials promised to present an update. >> Councilwoman Kymberly Pine criticized the administration for spending too much for improvements at Ala Moana Regional Park when major parks in her West Oahu district are unable to land a single dedicated groundskeeper. The committee decided to withhold, for now, $10 million that’s been set aside for sand replenishment. Hawaiian Airlines launched nonstop service from Honolulu to Boston on Thursday. Gov. David Ige and Hawaiian Airlines President and CEO Peter Ingram untied the maile lei during Thursday’s festivities at Daniel K. Inouye International Airport. Hawaiian Airlines on Thursday celebrated a milestone in its 90-year history by becoming the only carrier to offer nonstop flights between Honolulu and Boston. In a festive event at Daniel K. Inouye International Airport, the state’s largest airline took off on its scheduled nearly 10-hour inaugural flight at 1:55 p.m. with 238 passengers aboard its 278-seat Airbus A330 wide-body aircraft. The return flight today from Boston Logan International Airport is expected to take 11 hours and 25 minutes. The Boston- Honolulu route is the longest regularly scheduled domestic route in U.S. history at 5,095 miles. The new route to Hawaiian’s 13th U.S. gateway city is expected to give a boost to Hawaii tourism, whose largest visitor market is from the U.S. West. Last year about 127,000 people from New England — more than half of them from Massachusetts — visited Hawaii, according to the Hawaii Tourism Authority. Hawaiian’s only other route to the East Coast is to John F. Kennedy International Airport in New York, with the flight to Hawaii taking 11 hours and 10 minutes. In commemoration of Hawaiian’s 90th year of operation, the airline numbered its Honolulu-to-Boston flight as HA90. Flight HA89 was scheduled to depart Boston this morning for Hawaii with nearly 1-1/2 tons of live lobster. Hawaii fish and produce also will be regularly flown to New England. Private label products are created by Amazon or partners and are sold only on Amazon’s website under an exclusive brand name. They benefit Amazon in many ways: They expand the selection of products on the site, offer better profit margins than selling third-party products, make supply-chain management easier and can help Amazon persuade big brands to cut prices to remain competitive on its site. Amazon’s promotions for these products, which started showing up at least a year ago, were exclusively reserved for Amazon’s own private label products and appeared in highly visible areas of the site, like the top of search results or next to the “buy box” of a competitor’s product page. Other companies spend billions buying Amazon ads that link to their product listings on the site, vaulting Amazon into the number three spot among U.S. digital advertising providers, behind Google and Facebook, according to eMarketer. The change follows increased regulatory scrutiny of tech giants, highlighted by Sen. Elizabeth Warren’s call for breaking up big tech companies like Amazon and Google last month. Amazon’s practice of exclusively promoting its own private label products on the most prominent parts of its site has drawn the ire of many sellers and brands for being unfair and abusive. “If I were Amazon, I would be worried about being viewed as giving unfair advantage to my private label products, given the amount of power they hold in general — and how unpopular the amount of power is quickly becoming,” said Andrea Leigh, vice president of Ideoclick, an agency that helps sellers and brands sell on Amazon. The promotions were highly visible on Amazon’s website. For instance, a search for “baby food pouches” used to show a full banner of Amazon’s own products under the tab “Top Rated from Our Brands” at the top of search results. Those placements have been removed now. For certain categories, like baby wipes or batteries, Amazon has pushed the Top Rated banner to the bottom of the page, where it’s less visible and intrusive than ads for third-party products. Amazon also used to promote its own products through “Similar Items to Consider” links across the site, but many of those links appear to have been removed as well, multiple sellers and consultants said. In an email statement to CNBC, Amazon’s representative said the spots were part of a broader experiment and that the company constantly tests different types of product placements throughout the year. “We are always testing different experiences in order to provide more convenience, more efficiency and more options for customers while shopping our stores,” the spokesperson said. Although the spots appeared like advertisements, the spokesperson said they were not ads. Leigh, who worked at Amazon for nearly 10 years, said the problem isn’t just Amazon’s practice of running aggressive private label ads. Rather, she said, it’s how Amazon collects and uses purchase data to better promote its private label products against its competitors, who also buy ads and sell their products on Amazon. “When [proprietary data is] leveraged to promote their private label products, I can see how it would be perceived as unfair and even maybe predatory,” Leigh said. Another Democratic hopeful, Beto O’Rourke, said big tech companies should be more seriously regulated rather than simply broken up. Other politicians, like President Donald Trump and Sen. Bernie Sanders, have also criticized Amazon’s abusive business practices, while European regulators have made similar calls for more strictly regulating Amazon’s growing power. Despite Amazon’s aggressive promotion, its private label brands have seen little success. Amazon’s spokesperson said its private label products account for “approximately 1 percent” of total retail sales. In an extensive report about Amazon’s private label business, research firm Marketplace Pulse concluded that only a handful of products, like batteries, have been successful, while the rest have mostly failed. “The number of unsuccessful products and brands shows that the company doesn’t have it figured out,” Marketplace Pulse CEO Joe Kaziukenas wrote in the report. Still, Amazon continues to double down on growing its private label offerings. As of last month, Amazon had 119 private label brands, in addition to 314 exclusive third-party brands that only sell on Amazon, according to research firm Gartner’s L2. Almost all of those brands have been created in the last three years, the report said. “Amazon’s motivations could have been to test the efficacy of this placement for future ads,” Barbarin said. Sellers, however, are showing relief for now, as some of Amazon’s promotions, like pop-up ads in its competitor’s product page, were considered too obtrusive, according to Judah Bergman, an Amazon seller of three years. The change, he said, will help sellers and brands advertise their products without having to worry about unfairly losing exposure to Amazon’s own product ads. “It reassures us that Amazon is aware of the antitrust concerns and will allow brands like my own to continue to develop and flourish on Amazon without worrying about getting knocked off the page one day for no reason,” he said.